Struggling with a student's behavior? 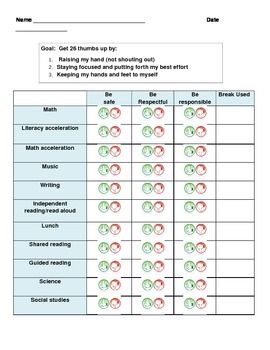 Use their individual behavior chart to help students be successful in school. Simply alter the subjects and implement! Be sure to include what the students are working toward!